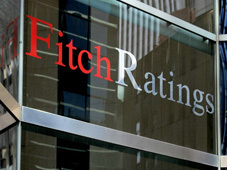 Despite the recent economic developments in the region and the currency crisis in the neighboring countries of Georgia, Global rating agency Fitch Ratings has assessed Georgia’s Issuer Default Ratings (IDR) at 'BB-,' saying the Outlook is Positive. “Georgia's ratings are supported by governance and business environment indicators that are above the current medians of 'BB' category peers, and a track record of macroeconomic resilience against regional shocks. Confidence in the authorities' economic strategy is also anchored by an IMF Extended Fund Facility (EFF) program,” Fitch reports, adding Georgia's external finances remain significantly weaker than the majority of 'BB' category peers. Fitch believes that escalating adverse developments in Turkey and risk of further US sanctions against Russia represent downside risks to Georgia's economic outlook. “Russia and Turkey are Georgia's second- and third-largest trading partners, accounting for 14.5% and 7.9% of total exports in 2017, respectively. Both countries are also important sources of remittances, foreign direct investment (FDI), and tourism revenues,” it says. The agency says the Positive Outlook on Georgia's rating reflects favorable growth prospects and a steady improvement in the public finances. “So far Georgia's economy has been resilient against recent regional volatility. Estimates from national statistics (GeoStat) show the economy to have grown 6.0% in real terms year-on-year (yoy) in 1H18, above Fitch's expectations,” Fitch stated. Also, Fitch projects real GDP growth to average 4.8% in 2019-2020, compared with 3.5% across 'BB' category sovereigns. Georgia's public finances continue to improve, adding the cyclical upturn has helped boost tax revenue growth, while expenditures remain contained on the back of government priorities to reduce current expenditure to meet capital spending needs. “For 2018 and 2019, Fitch is forecasting Georgia's general government fiscal deficit to average 2.6% of GDP, down from 2.9% of GDP in 2017, and in line with the projected median deficit of 'BB' peers,” the agency says.